How to address customer concerns and gain powerful word of mouth. Customers are the lifeblood of any business – no matter what industry you’re in, you wouldn’t have a business without paying customers. Keeping your customers happy is the foundation of a successful business. Many of the top companies in the world have foundational values that revolve around excellent customer service and satisfaction. A happy customer not only keeps coming back to your business, but they tell others about your fantastic customer service – word of mouth marketing is one of the most powerful marketing tools you have at your disposal. There are going to be times with customer concerns, negative feedback or complaints – how you handle those situations can impact how others see your business, so it’s important to handle those concerns appropriately. Here are some tips and tricks for addressing customer concerns. One of the most important foundations of customer service is showing genuine empathy. It’s a skill that can’t easily be faked. You have to genuinely make a connection with your customers in order to fix the situation. By understanding and acknowledging the emotions that your customer is having, they can begin to work with you on a solution. It’s important to validate any feelings a customer may be having – never dismiss their feelings. You may have read stories about social media teams responding to anger with their own anger, and that rarely works out in the business’ favor. Remain calm, acknowledge the customer’s emotion as valid, and start building a relationship with the customer in order to resolve the issue. 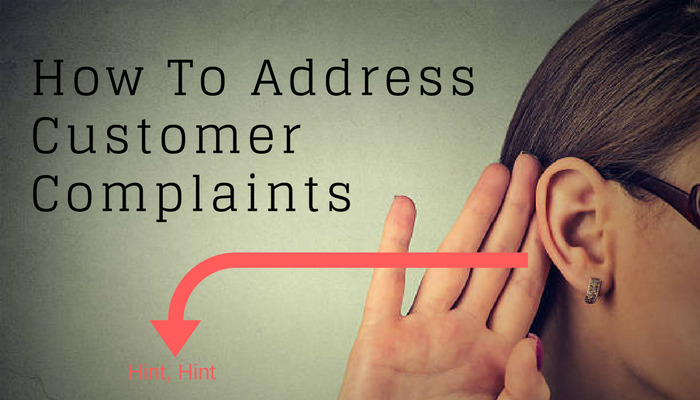 From a simple issue to a complex problem, customers want their complaints to be resolved. It’s important to go into every customer interaction with a plan to fully resolve the issue. If an issue goes unresolved, you may end up losing a customer. They may even tell their friends and family about the poor experience they had, which can hurt your business. You need to be thorough and ask open-ended questions, not only to get relevant information that you may need, but to get the customer talking to you. If you get them talking, they may reveal information about themselves that you can connect with or share frustrations with you that may be the root cause of the problem. One common pitfall of many customer service departments is the lack of follow through. If you’re dealing with an angry customer, and especially online in places like your social media account, it’s important to always follow through on your promises. Following through on your promises fixes the relationship with that specific customer and can let other customers know you care about their business. Regardless of the issue, you need to make sure it’s resolved and that you’re following through with what you promised. Customers can have complaints about a wide range of issues, so you need to be armed and ready to address any issues efficiently and appropriately. After all, without the customer, you wouldn’t have the business that you have today. eEndorsements is a complete feedback solution for business to understand your customers and capture reviews.